See? And you thought all that praying to Ahura Mazda was for nothing, right? 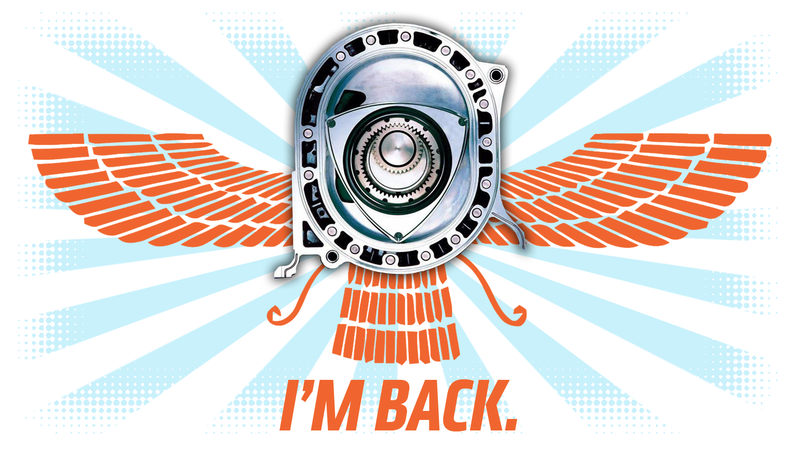 Well it worked: Mazda’s legendary Wankel rotary engine is coming back! To cars! Of course, Ahura Mazda’s power isn’t exactly what it was back in 500 BCE, so there’s a catch: the rotaries will just be used as range extenders for upcoming Mazda electric cars. 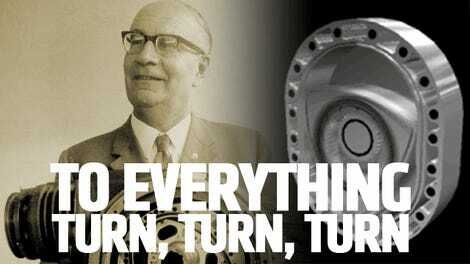 Still, the rotary’s back! Finally, you can have apex seal problems on an electric car! I kid, I kid! I love the rotary! The rotary engine was first used as a range extender on the Mazda Cosmo, when it extended that car’s range from 0 miles to however many miles you wanted by adding more gasoline. A rotary is a pretty good choice for a range-extending engine for not just the reasons cited above, but because it’s pretty much vibration-free and has fewer moving parts than a conventional piston engine, helping with maintenance and longevity. A flat, horizontal layout will likely make packaging easier, possibly allowing a rotary range extender to be housed in an underfloor compartment along with a hybrid’s batteries. The first Mazda hybrid with a rotary range extender is expected to come out in 2020. Sure, it’s not an all-new rotary RX-7, but I’m just happy to see the rotary engine still staying alive and relevant.